It is with deep remorse that I bid this thread adieu. 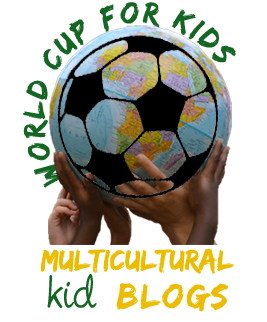 As sole blogging-rep for Japan in this, the fabulous Multicultural Kids Blogs, World Cup Project, this is my last. (Not to say I won’t be reading everyone else’s). This is one serious site to gleam from the countries and cultures who are/have competed for the 2014 FIFA World Cup. There is nearly a blog for every country. These are savvy women, and a few men, who live the bicultural/bilingual, sometimes trilingual life. (Lucky me–I am very inspired). Japan is out after losing 1-4 to Columbia. So…we’ve been out for three days now and I hadn’t said a word. Not even “boo”. I didn’t mean to be a sore loser, or anything. Honestly, I didn’t even realize that game was being played until I saw dozens of screaming comments on social media while I was riding the train. Can I claim busy mom? Well, anyway, Japan is out. The respectful thing for me to do is bow. Bow goodbye, bow in thanks, bow bow bow. This is very Japanese of me. 1. You see your neighbor and want to wish them a good morning. Bow. 2. You see the mail-person and feel thankful for his work. Do it. 3. Gosh, the men collecting garbage are so terrific. Bow. 4. You think the young woman in the elevator should get off before you. Go, bow. 5. Another mother has purposely left the daycare gate open for you. Bow. 6. You’re about to tuck into your soba lunch or any food. “Itadaki masu”! and a small bow. 7. Someone hands you a fork. You need that fork. Boy, you are thankful for the fork. Bow. 8. Your husband introduces you to a co-worker or new friend. That’ll be one or more bows with some specific Japanese phrases, “Yoroshiku Onegaishimasu” coming up! 9. Today was the first day of swimming. You loused up and left the clean and dry, mandatory swim cap hanging in the bathroom. The teacher graciously offers another solution so that your girl can swim. Bows of “I’m sorry, how embarrassing”, mixed with rigorous nods of thanks. Pheew, tomorrow you’ll get that cap in the bag. Gotta cool it with the bows so your neck doesn’t get all crinkly-stiff. You get the picture. I find myself bowing to people in cars when they let me cross. I bow to crossing guards, librarians, and police men. I bow to my kids’ daycare teachers. I probably bow to my eyelids while I sleep. It is utterly engrossing. And elegant. It is like a plie or curtesy for your head and neck. 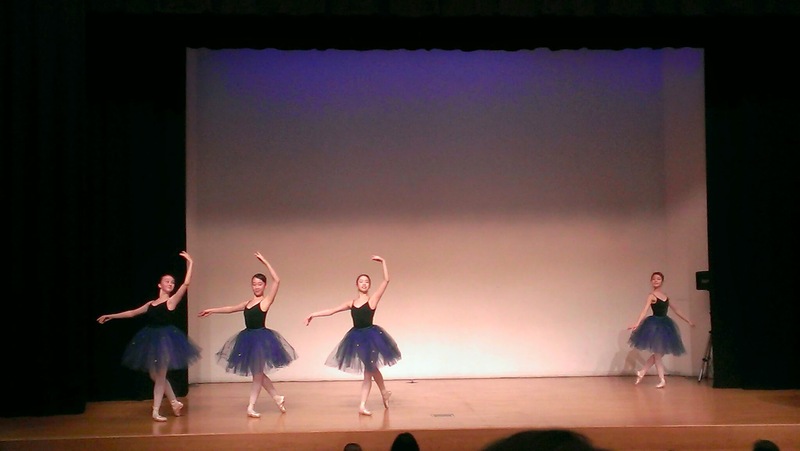 A pic from a recent performance my girl & I attended. Bows are graceful, fluid, & sometime imperceptible, unless you are looking. Maybe two months ago, I realized my 1 year old guy, was bowing to people! And in the right situations! Well, I’ll be. He has been interacting and communicating with people–teachers, family members, people in the neighborhood for some time now. Usually he’ll bow when saying hello, goodbye, or accepting food or a treat. Maybe this polite mannerism has been going on far longer than I realize even now. Once I finally realized what was going on, his bow was clear as day. He’s probably also fluent in Russian and I just don’t know it. 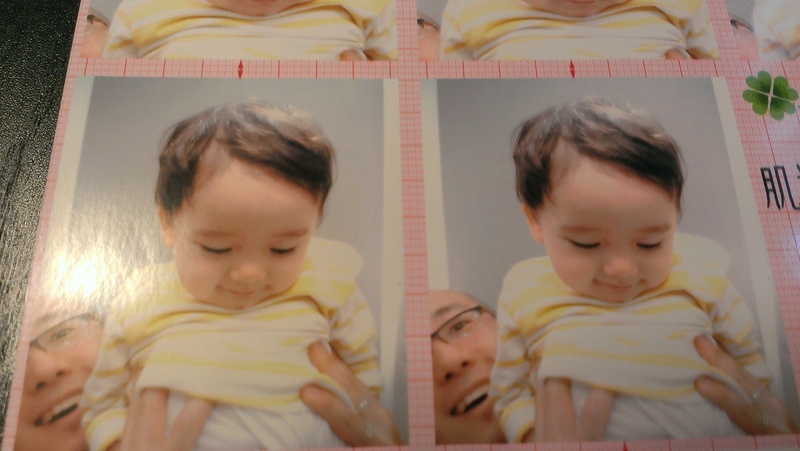 One of 4 hopeful passport pics to submit for your guy’s Japanese passport. Unusable cuz he’s probably BOWING. I’m willing to bet my new awesome heart shirt that all Japanese people would exchange bows at the end of a sports game. The winner would of course bow, not to seem stuck-up, but to extend courtesy and respect to a worthy opponent and all the person represents. The one conceding or walking away without the medal would absolutely bow to show respect and deference to the skillful opponent. Unless, of course, he is a sore loser, and we won’t have that, will we. The thing to do, is bow.